Conservatives for a People's Vote is a new campaign that asks MPs to acknowledge the impossibility of getting consensus behind any one vision of Brexit from the current Parliament - and to recognise that the only way out of this is by giving the final vote on the outcome of the negotiations back to the people. 1. c. £2500 - for the production, printing and shipping of campaign leaflets and other promotional materials for distribution at the party conference and nationwide. 2. c. £1750 - for travel and communication expenses for meetings with MPs and the media, briefings/training of volunteers nationwide, and participation cost for events related to the cause. 3. c. £1750 - for promotion of the campaign online incl. the production of video content and social media advertising. 4. c. £6000 - for polling of Conservative voters and/or of constituencies where Tory MPs are uncertain whether their voters want a Final Say. With the deadline for the Withdrawal Agreement approaching rapidly, we need these funds now. Later will be too late! We urgently need to get our message through to the decision-makers who hold the fate of our country in their hands - that a damaging #NoDealBrexit is not an option, that the current Chequers deal is still a Hard Brexit for 80% of the economy and will leave us as a rule-taker not a rule-maker - and that the shape of our future relationship with the EU is something on which the people of the UK deserve to be heard. All the MPs now calling for a final popular vote have already pledged their backing for our campaign - but we need many more to join them. Now we need your support to make that happen. 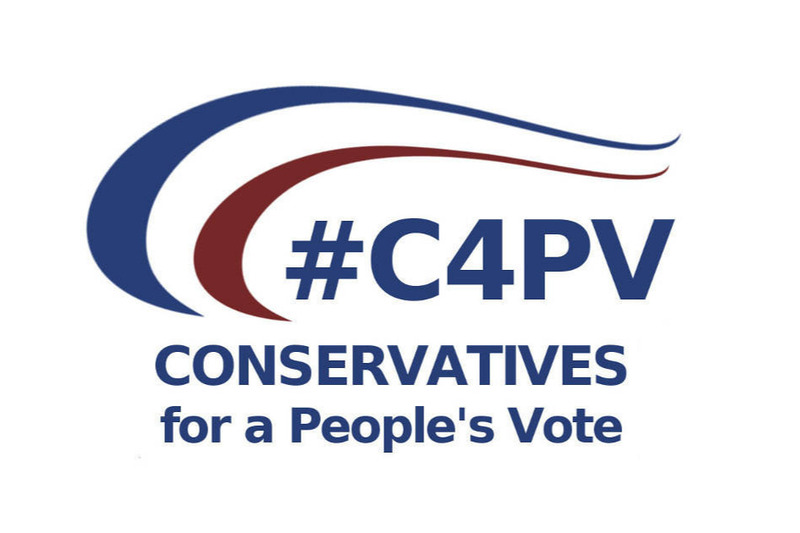 Conservatives for a People's Vote is a political campaign in the United Kingdom of Great Britain and Northern Ireland. 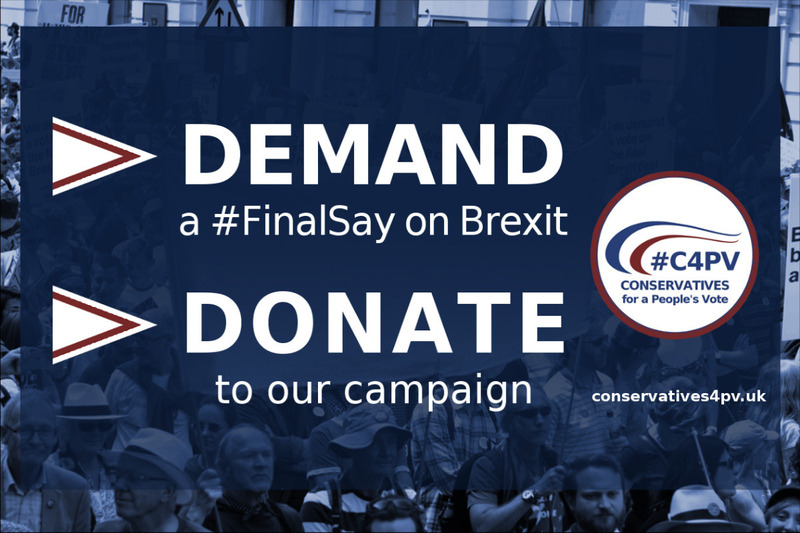 This crowdfunder is being run by Patrick Lohlein, the National Organiser of Conservatives for a People's Vote on behalf of Citizens For Britain Limited, a not-for-profit company limited by guarantee (Company number 10924933). All funds received will be transferred to the company accounts where they are earmarked for purposes of this campaign only. Please note that we are legally required to declare any donations of £500 or more. Should you wish to make such a donation, then please contact us directly to ensure that we can collect all the information required to comply with the UK electoral commission.